Intensive ABA therapy has made a great deal of difference in the behaviors and abilities of many autistic individuals. According to Autism Speaks, research finds that this therapy is an effective way of building skills for adolescents and adults with autism spectrum disorders. It is also a useful technique for family members to use to help manage some of the difficult behaviors that accompany diagnosis. It encourages the development of desirable behavior through structured measures. In many cases, IQ scores have risen, and the severity of autism significantly reduced. Some children treated with ABA therapy have been able to leave the special education classroom behind while entering mainstream classes. ABA shows its best results when begun before children reach the age of five and when put into practice 20 to 40 hours per week with one-on-one support. However, the approach has been successful with older children in many cases as well. ABA is a strong, evidence-based approach to helping children with autism learn. ABA theory uses a basic model of rewards to reinforce positive behaviors and consequences for undesirable ones, expanding this model to encompass a wide range of circumstances. Larger goals are broken down into small, manageable steps, each one rewarded as its own accomplishment. The therapy takes place in a highly structured environment with an instructor and student. A simple task, such as hand washing, is broken down into small, manageable steps for the child to learn one at a time. This is chaining, which can be either forward or backward. Forward chaining - the student masters the first step before the second step, the second before the third, and so on. Backward chaining - the student learns the steps in reverse order. Once the student masters drying her hands, she moves on to turning the faucet off, and so on. While an impressive body of research supports the benefits of ABA when applied during the early years, comparatively little evidence is published about its effects on older children. However, anecdotal accounts from parents, caregivers, and autism professionals are many in regards to gains in social skills, learning ability, and behavior in older children. Anecdotal evidence is not enough for many health insurers, though, making it difficult for many parents to find coverage that will provide ABA for older autistic children. While some states mandate coverage of behavioral therapy for children with autism up to the ages of 18 or 21, many others cover the therapy for only the younger ones, often only until the age of five. Autism advocates are lobbying to change that lack of coverage. In Virginia, for instance, a state where most insurance companies do not cover ABA at all, legislation has been proposed to make such coverage mandatory. The proposal being discussed would require that health insurers provide autism treatment, including ABA, to any child up to age 21, with a maximum coverage amount set at $36,000 annually. Similar legislation has already been put in place in seven other states, and the autism community is applying pressure on many more state governments to follow suit. These measures would greatly reduce the financial burden on families of autistic children, many of which pay thousands of dollars a year for ABA, and bring the therapy within the grasp of those without the resources to pay out of pocket. Insist your child do things for himself whenever possible. Help your child using verbal, visual and finally hand prompts to assist in completing a task. Spend time working with your child each day. Have him repeat the same activity several times until it is mastered. Repetition will help you child learn how to become familiar enough with the skill to use it in general settings. Break down tasks into small chains to master one step at a time. You can use picture prompts or a schedule board to help show your child each step in the process. For example, begin with pick up crayon as an initial step, followed by holding the crayon and then coloring. Recognize desirable behavior, and reinforce it immediately. Try to ignore undesirable responses and quickly redirect to the task. Nonnegotiable behaviors, such as hitting, require immediate, meaningful consequences. The type and degree of symptoms among those on the autism spectrum varies so widely, and no one treatment works for everyone. 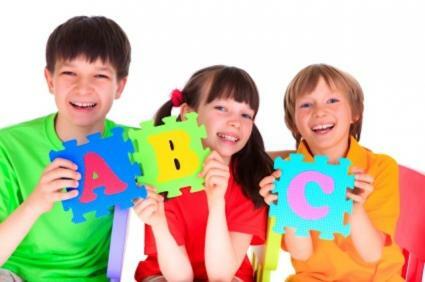 However, of the evidence-based treatments and therapies available today, applied behavior analysis is among those showing the best results with a broad range of subjects. Once quite controversial, due to the consequence for poor behaviors segment of the program, applied behavior analysis has evolved. The emphasis today is on positive reinforcement, rewarding achievements and withholding rewards when expectations are not met. This change places ABA on the list of approaches that do no harm but may be of significant help to many children, both younger and older, with autism.